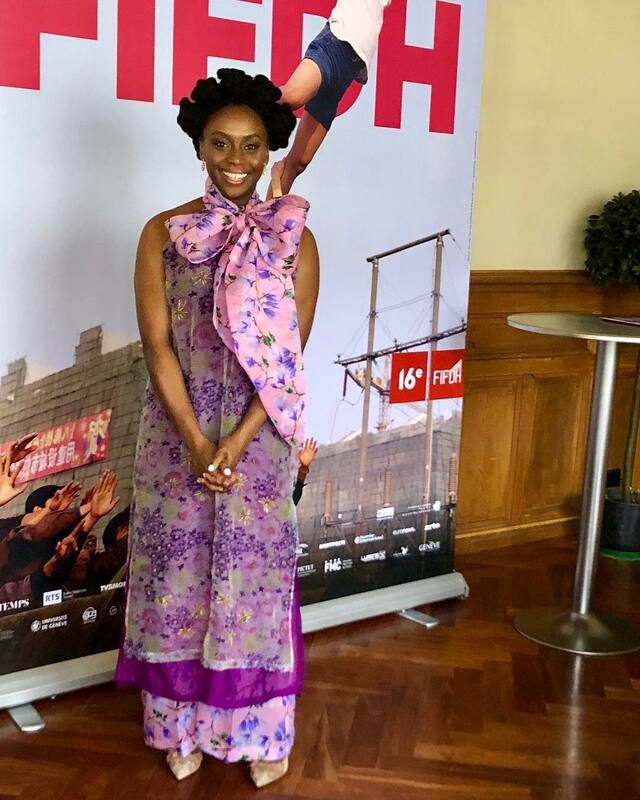 Nigerian author Chimamanda Ngozi Adichie attended the just concluded International Film Festival & Forum For Human Rights in Geneva on Saturday, 17th of March. 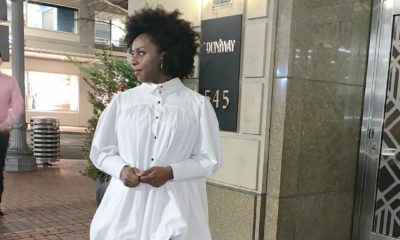 Chimamanda was at the event for a special reading of her book, Dear Ijeawele or A Feminist Manifesto in Fifteen Suggestions, a letter she wrote for a friend who had just given birth to a girl. 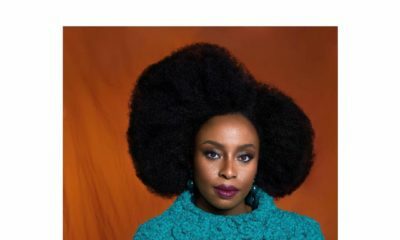 See the list of readers below. 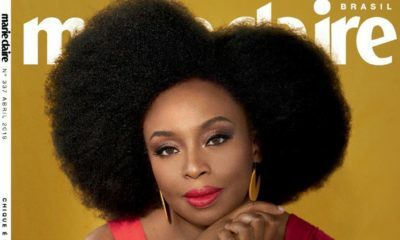 The reading was followed by a conversation with Chimamanda Ngozi Adichie moderated by Sylvain Bourmeau, journalist and producer of the show La Suite dans les Idées on France Culture. 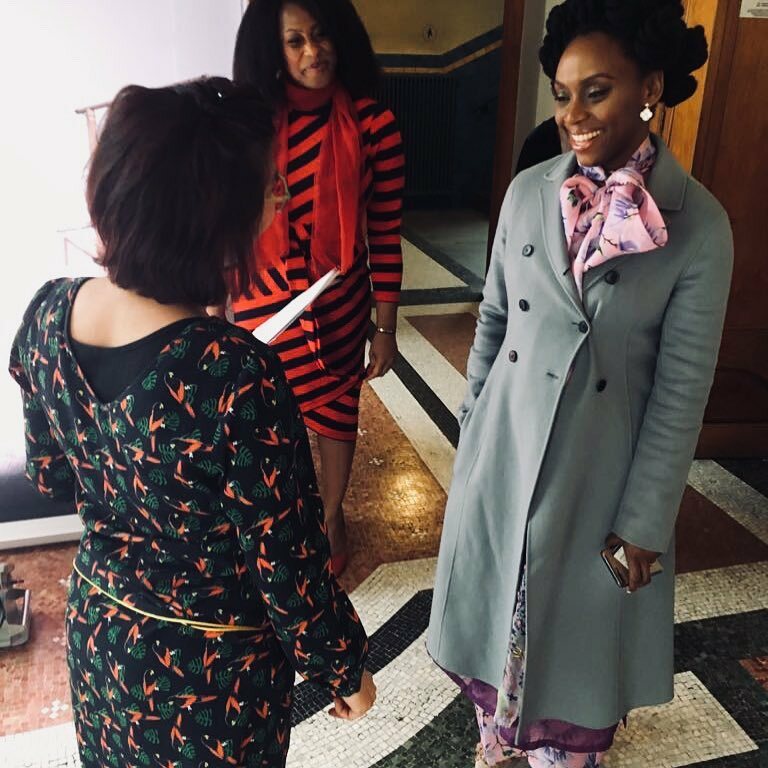 For the event, Chimamanda who has been on a Wear Nigerian campaign since last year, wore a purple floral dress by Nigerian fashion designer Ejiro Amos Tafiri.